Met Gala 2017 Stream: The night has come, finally. Tonight, it’s the 2017 Met Gala. You, probably, have arrived here to watch Met Gala live streaming 2017 online Met Ball. Here, we all the information/video regarding it. You will be able to catch the red carpet live feed video & updates on the go with ease. The live video will be available here at the time. Let’s move ahead for more details. NOTE: Keep one live streaming of Met Gala ON and rest of the videos OFF. This year, once again, the E! (EoOnline) will broadcast their special event Live From the Red Carpet. The 2017 Met Gala theme is designer Rei Kawakubo and the ticket and table prices are too high, again. It will cost $30,000 for a ticket and $275,000 for a table to guests, according to a report by Huffington Post. Like every time, most of the celebrities get a free pass. For more info on how to watch Met Gala event online, on what channel the red carpet on TV will air, and more, continue reading the page. Let’s first move to the two free available live streams. E! News’ live stream of Met Gala 2017 red carpet will be running via Facebook Live. You can enjoy it here – https://www.facebook.com/enews. It will be available on its official FB page videos. At the same time, it will have the on-air broadcast/telecast which starts at 7:30 pm ET. Along with E!, Vogue live stream will there to help the viewers. You can also catch the live updates of red carpet starting at 7 pm to 8 pm ET. Like E!, they will also run the live streaming via Facebook Live here at https://www.facebook.com/events/1718804331754064/. It’s the link to the official event page. Check: Daytime Emmys 2017 Winners. Now, let’s head towards the available options to watch on TV and social media. The television audience can watch the same on the E! Network TV channel from 7-7:30 pm ET/PT. A little time delay is expected. E! 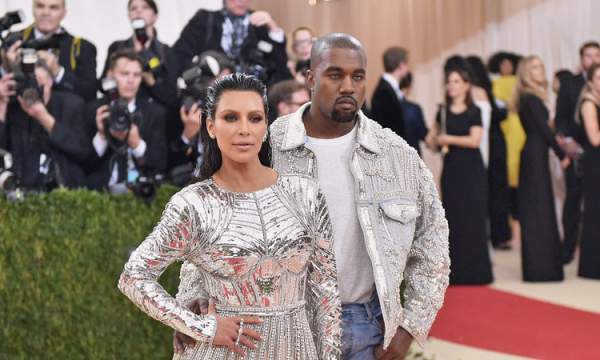 New will run the pre-coverage of the MetGala event on-air, online and via social media. From 7:30 to 9 pm ET/PT, the red carpet rundown on the evening’s fashion will be given by Giuliana Rancic and Zanna Roberts Rassi. jason Bolden and Kristin Cavallari will accompany them on the show. Apart from it, the interview of celebs will be done by Brad Goreski and Sibley Scoles on the red carpet live. It will air on E! Network. Along with the above options to watch, there will be a 360-degree view of the event. It will include the pre-show coverage, behind the scenes moments, the latest fashion tips, and secrets, including the breakdowns of all the designs. No need to worry in case you want to catch the celebrity interviews and the after-party details. All of that stuff will be made available. After the show gets over, the photos of the best-dressed fashion moments along with the worst will be available. Apart from the above options, the event updates will be provided via the E! News mobile app, @enews on social platforms like Facebook, Twitter, Instagram, and @E_News on Snapchat, too. Don’t forget to follow the hashtag #Eredcarpet to get the latest Met Gala coverage. From 11 pm to 11:30 pm ET/PT, more of the fashion news and coverage of the Meet Gala happenings/development will be available on E! News. Then, on May 2, 2017, Tuesday, Melissa Rivers, Giuliana Rancic, Brad Goreski, NeNe Leakes, and Margaret Cho will have another edition of the show – Fashion Police. They will cover all the dos and missteps from the fashions on the Met Gala red carpet. Well, you won’t be able to watch the actual Gala on the television and the guests have been asked not to use social media at the event at the venue – Metropolitan Museum of Art, New York City, New York. Stay tuned to TheReporterTimes for latest fashion updates.